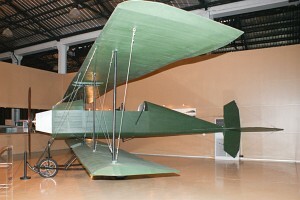 The Breguet Type III is a single-engine two-seat touring, trainer and military observation plane produced by the French manufacturer Breguet (Société Anonyme des Ateliers d'Aviation Louis Breguet). The Breguet Type III was the first aircraft to lift 6 people. Engine Model R.E.P. 60 h.p.